Sorry about the delay. I was picking out an apartment in Chicago. 6 weeks till moving day! 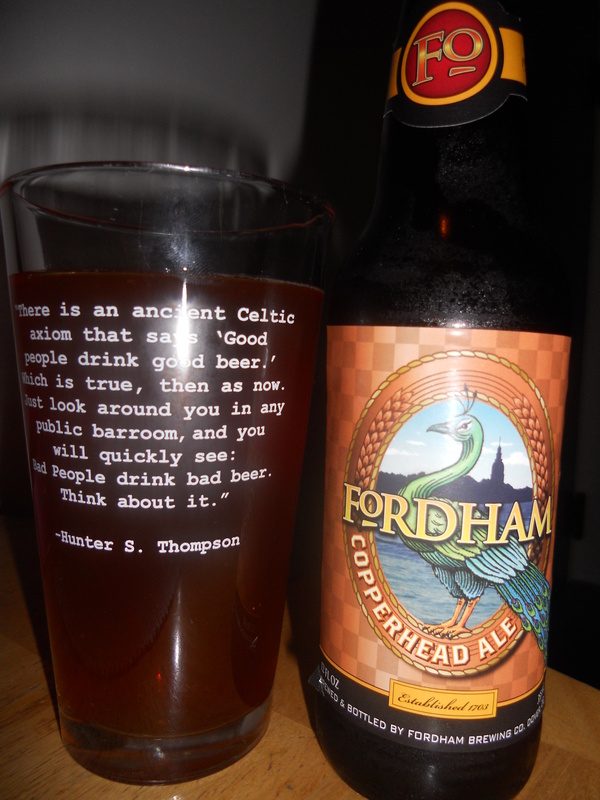 Anyway, tonight’s selection is from the Fordham Brewing Company in Annapolis, MD. Copperhead Ale is a Duesseldorf-style Altbier (which basically means a German brown ale, typically aged longer than other beer styles.) The brewing technique behind an Altbier lends itself to a very smooth, drinkable beer with a lovely copper color. By the way, if you can read the quote on that Flying Dog pint glass, it’s a good one. I may try to work it into a new layout for the blog. Maybe on my two weeks off before moving. The photo doesn’t do the cloudy, copper color of this ale justice. It was a lovely, light, almost penny-colored copper with a perfect amount of cloudiness. Its aroma was a nice balance of citrus and spice. The taste added malt and hops flavors. Copperhead Ale is a smooth beer with a crisp, hoppy finish. Quite drinkable, light enough to be had on its own, but would be excellent with food as well. Imagine the thickest, creamiest, most chocolatey hot chocolate you can. Now imagine it cold, and add hops and alcohol. If that sounds great, then you will love today’s review. Siren Noire is an Imperial Chocolate Stout by the Heavy Seas Brewery in Baltimore, MD. I like pirates and (as you saw with the Hobgoblin review) fantasy creatures, so this beer is a definite win. Just look at the gorgeous head and beautiful color on that! The first thing you notice is the aroma of the beer: pure, dark, chocolate. Once you taste it, then the chocolate hits you even more, and there’s a little hint of coffee as well. The after taste is reminiscent of root beer, which even with all the chocolate isn’t as weird as it might sound. It’s actually quite good. 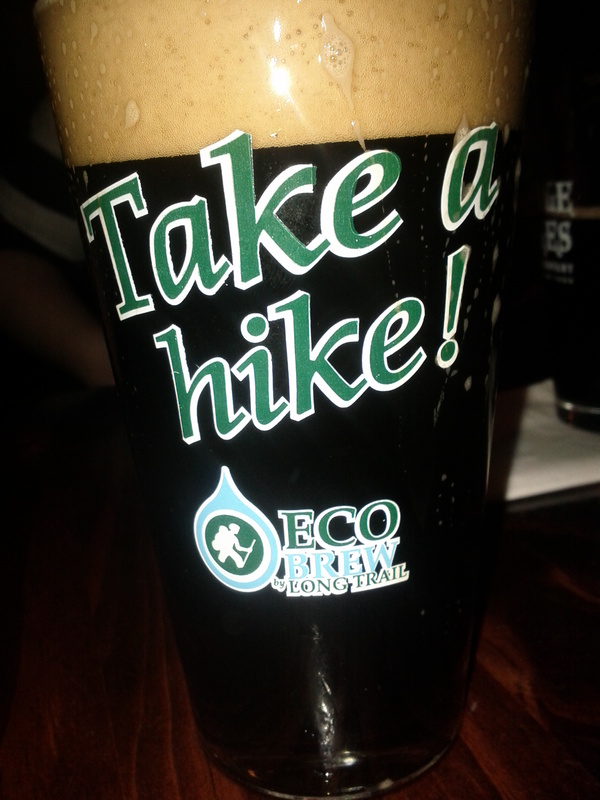 Though this is an Imperial stout, it’s not as heavy as the typical beer in this category, which could be good or bad. Personally, I liked it even in spite of that. Good luck finding this great beer though–it’s part of the Mutiny Fleet which had an extremely limited release. If you see it at your local bar, though, definitely give it a try!